by Andy Higgs in Asia, Places, Stay, Thailand, We likey. At the end of May I was back in Thailand just after the coup to attend the DIA conference in Bangkok. 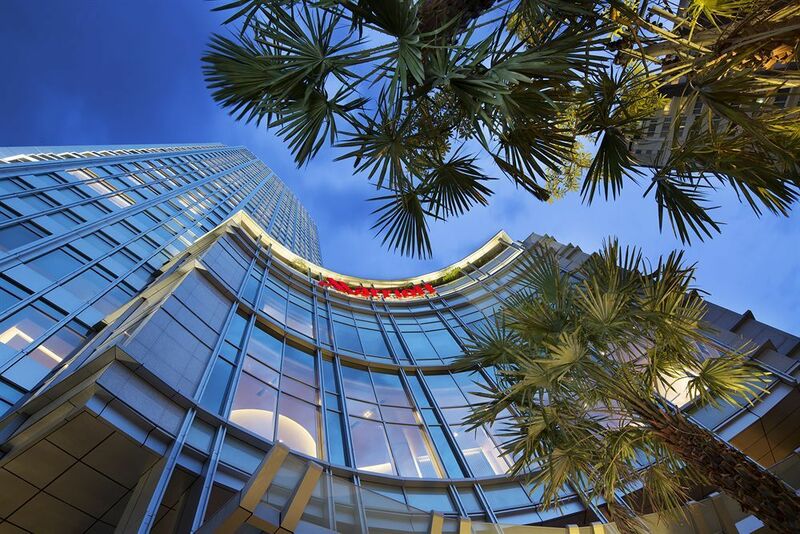 The venue for the event was the shiny new Marriott Hotel Sukhumvit in the Thonglor area of the city, and I was lucky enough to receive complimentary accommodation during the actual conference. As I would be arriving early and staying a few extra days in the Thai capital I decided to pay for the additional nights myself to avoid having to change hotels. 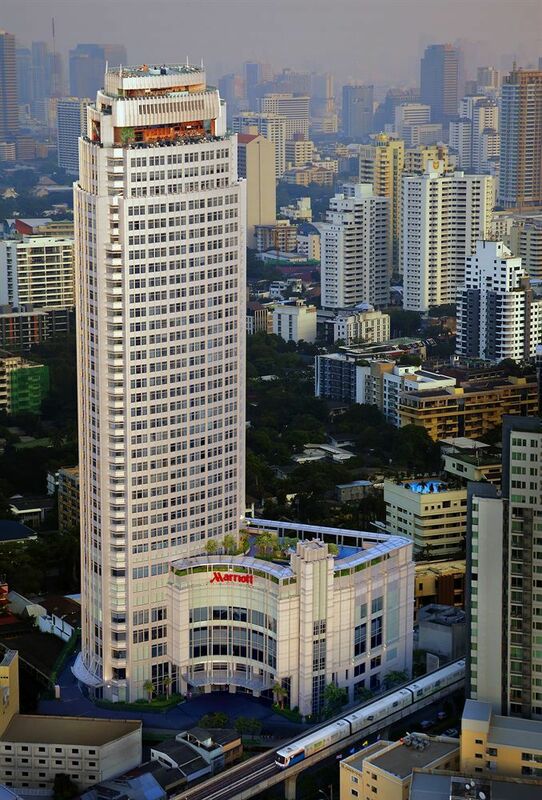 As mentioned, the Marriott is located in the Thonglor area of Bangkok in the east of the city. Its a few stops on the Skytrain along Sukhumvit Road from the central shopping area around Siam Square. For the life of me I can’t envisage a scenario whereby a tourist would even consider driving in Bangkok, but if there is some strange reason why you have to bring a car you’ll be pleased to know that the Marriott offers complimentary on-site parking with a free valet service. For starters it’s basically brand new. It’s also in an area which is attracting increasing interest from locals and tourists alike. 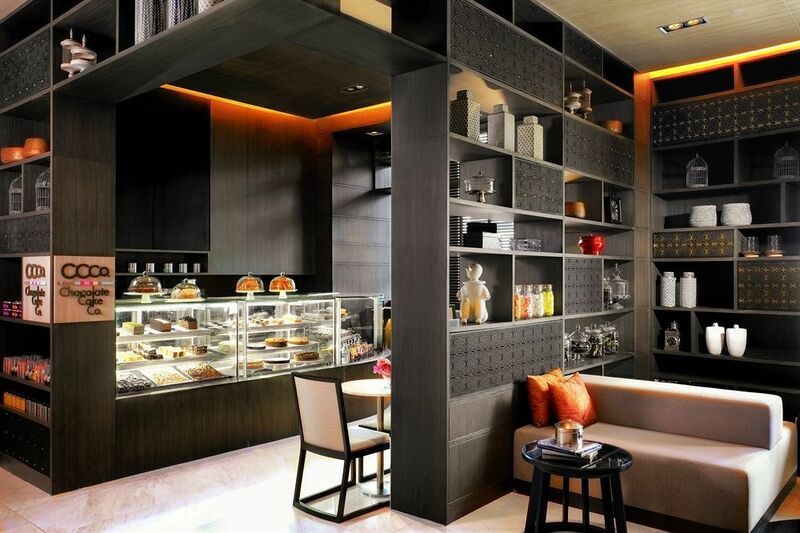 Already well-known as the location of Sukhumvit Soi 38 – one of the best places for street food in Bangkok, especially for beginners – Thonglor seems to be adding new, sophisticated and high quality cafes and restaurants on a weekly basis. 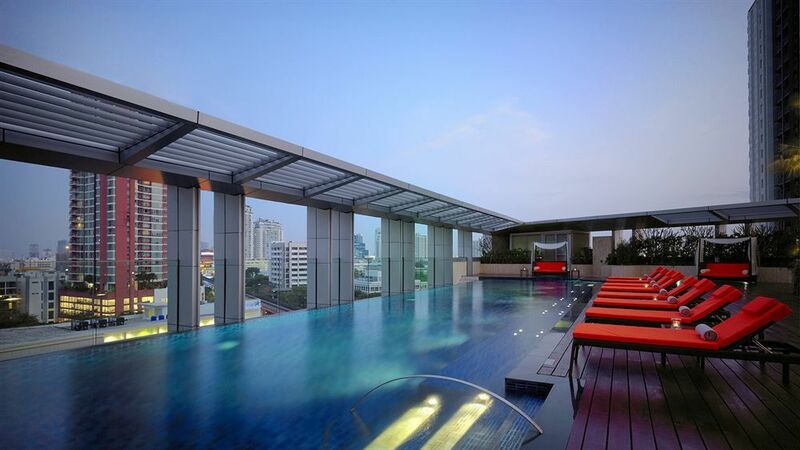 As far as I am concerned the most important aspect of a hotel’s location in Bangkok is its proximity to the BTS Skytrain and here the Marriott scores highly – the nearest station is about five minutes on foot from the entrance. When the city is at its hottest, anything more than five minutes will leave most visitors drenched in sweat, only to freeze to their bones when boarding the train with its extreme air conditioning. Being a little further from the centre of town and the tourist sights there is marginally less traffic when travelling to and from the airport and Thonglor was largely unaffected by the demonstrations and political protests. While the military coup appears to have put a stop to the latter Thailand’s history would suggest that the calm may not last forever but such unrest is unlikely to be focused on outer areas of Bangkok. The hotel offers Deluxe and Executive rooms as well as three types of suite – one bedroom, two bedroom and of course the Presidential. 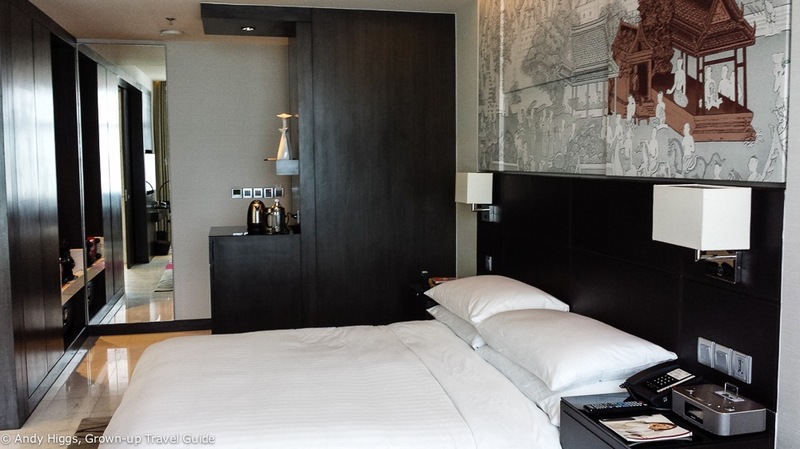 In my opinion these are worth the extra cost – I had a lot of work to do while in Bangkok and made good use of the Executive Lounge to break the monotony of being stuck in my room. Having free coffee, soft drinks and a good selection of snacks was a great bonus. I didn’t get a chance to try afternoon tea or the beverage bar but something I made extensive use of was the complimentary valet pressing. By sending three items of clothing to be cleaned and pressed each day I was able to keep my shirts and trousers for the trip looking new – given the insane humidity in Bangkok in May/June this was a lifesaver as I went through a couple of shirts a day. Since I was attending a conference and needed to look as respectable as possible this service was much appreciated. The hotel offers laundry services for other types of clothing too for an additional – and rather high – cost. 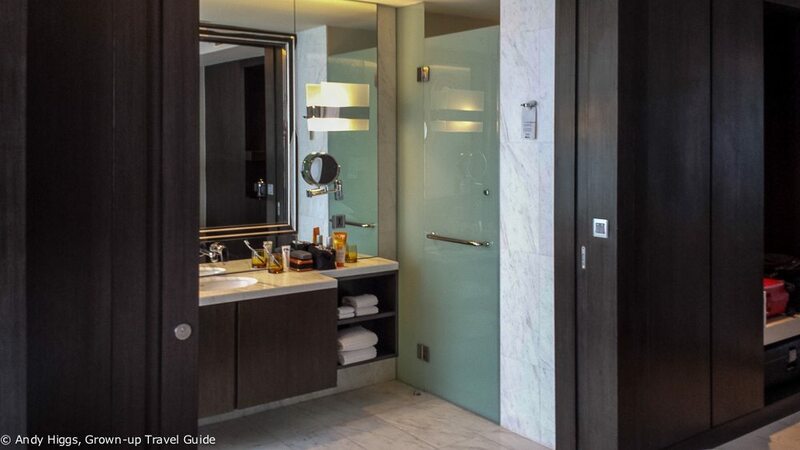 The rooms are small – 36 square metres – but well-designed; unlike many smaller hotel rooms there was plenty of storage space including both a wardrobe and drawers. I preferred to keep the sliding doors to the bathroom open during the day as it was a little claustrophobic in the bedroom with them closed. As well as the hotel, the building is also home to 74 Marriott Executive Apartments which share the facilities but are larger than the hotel rooms. Apartments also include kitchens as well as washer/dryers although with Bangkok’s unbeatable dining from street food stalls to top restaurants and ultra-cheap laundry services on every street it seems unlikely you would need to make use of such extras. I didn’t get a chance to check out the apartments on this visit but will do so next time – a quick check showed that the rates were very competitive so if you value more space and are staying longer you might want to consider this option. Rooms include the following amenities: flat-screen TV, iPod dock and clock radio, work desk, Thann toiletries, stocked mini bar, coffee and tea-making facilities, free in-room internet (wired and wireless), direct dial telephone, bathrobes and slippers, portable hairdryer, laptop-sized safe, iron and ironing board. No, lovely cool tiles and a rug. Good call, Marriott! The bathroom was spacious with a round tub and rainfall shower on one side, separate toilet on the other and basin, mirror and storage are in the middle. 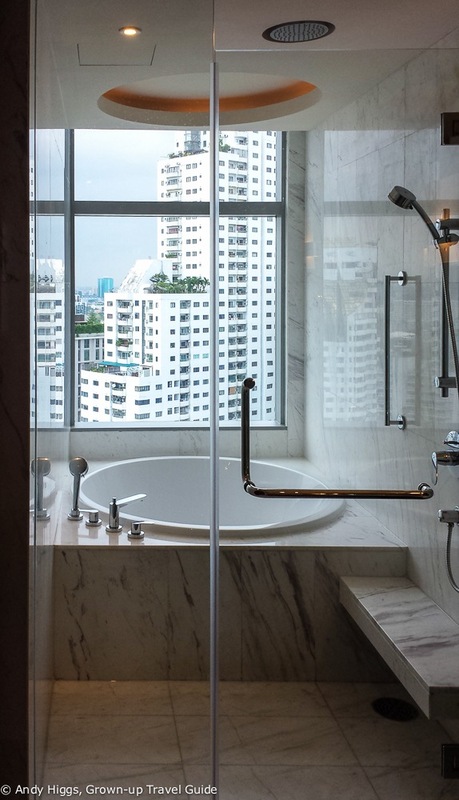 This seems a classic case of form beating function and is a shame – I would have liked to relax in a decent sized tub looking over the Bangkok skyline. On the other hand the shower was great and I do love Thann products. Plenty of lovely fluffy towels are provided and there is enough space for a couple to unpack all their toiletries and cosmetics without having to fight for it. Yes, free and very fast Wi-Fi as well as wired internet in the room and all through the hotel. Indeed – in fact you have quite a choice here so I’ll start at the ground floor and work my way up. 57th Street (gettit?) is for all-day dining with breakfast, lunch and dinner menus. 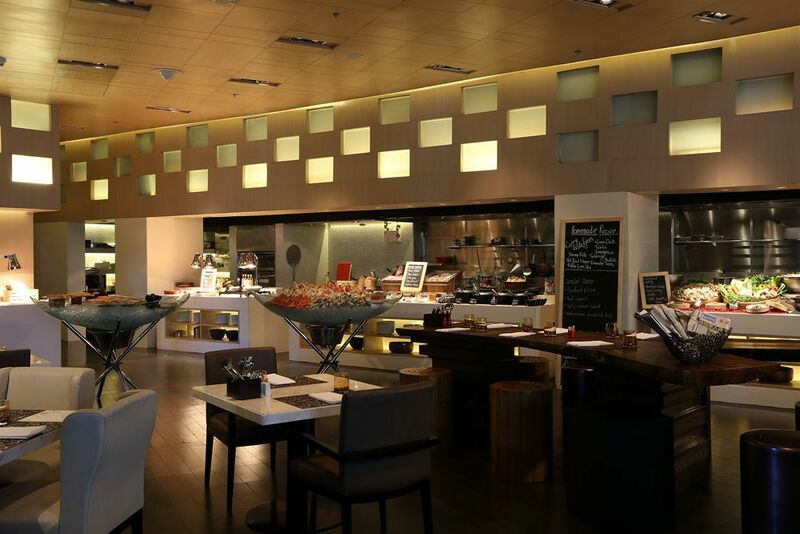 I ate here several times and was particularly impressed by the lunchtime buffet which had superb Indian food as well as a wide range of options freshly prepared in the open kitchen. On the subject of sweet treats, on the other side of the lobby you’ll find the Chocolate Cake Company. Specializing in takeaway gourmet coffee and decadent pastries baked freshly each day, it’s a tasty if not exactly healthy way to start your day. But who’s counting calories anyway? 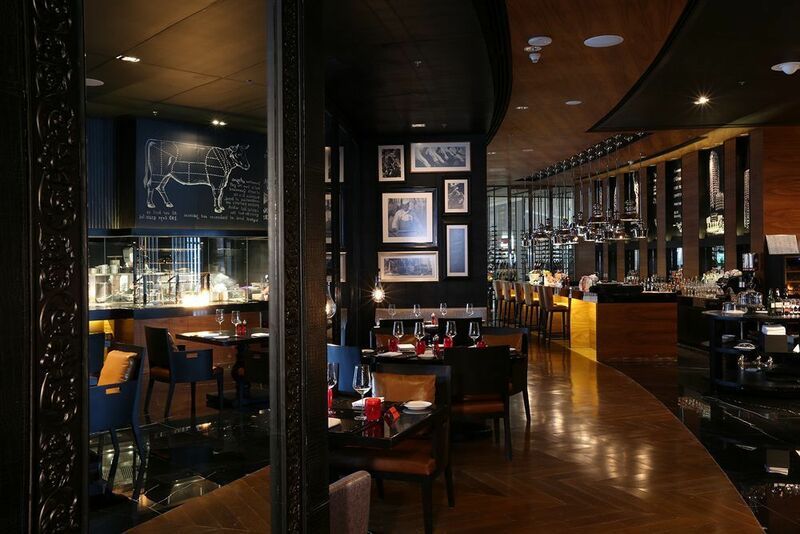 One floor up is the more formal and very stylish District steakhouse. I didn’t get to eat dinner here but District provided the catering for lunch during the conference and both the food and the restaurant interior were high quality. There is a bar at the pool that serves snacks and light meals – including an excellent burger; but the real high point – in more ways than one – is found right at the top of the tower block. Octave Bar and Lounge is spread over the top three floors of the Marriott and is where you want to be when the sun sets. 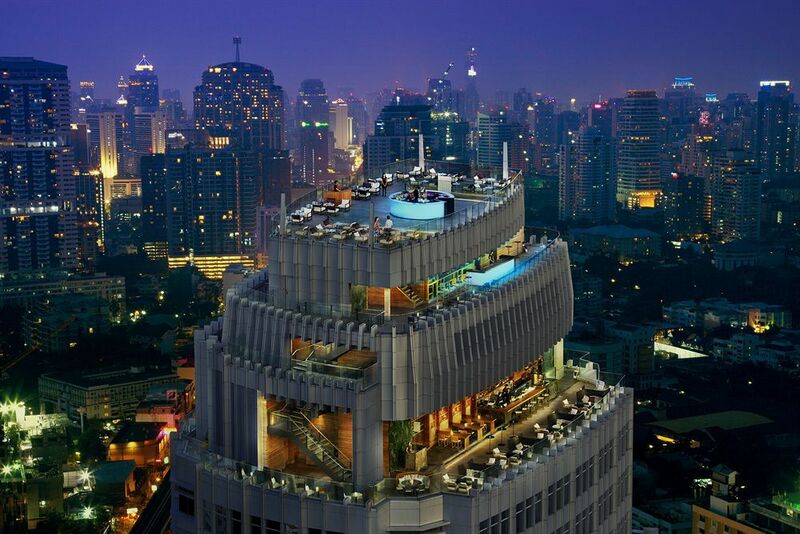 The views are incredible and unlike many rooftop bars guests can enjoy a 360 degree view of Bangkok. You can eat dinner on the first level and then climb to the top for a cocktail as the city goes into night mode. Watching the sun from 45 floors up is an experience not to be missed and reason enough to visit the Marriott. As the stifling heat of the day gives way to the slightly cooler night and a welcome breeze sweeps over Thonglor, there’s nowhere else you’ll want to be sipping a G and T.
Marriott has you covered here too. 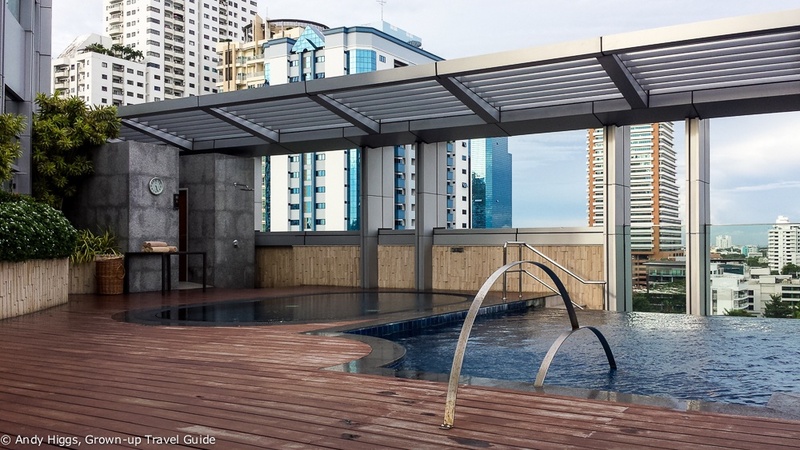 There’s a very swish outdoor infinity pool on the 7th floor. It’s not huge but provides a nice way to cool off and was never packed during my stay. There is also an outdoor whirlpool and bar as well as plenty of sunloungers. 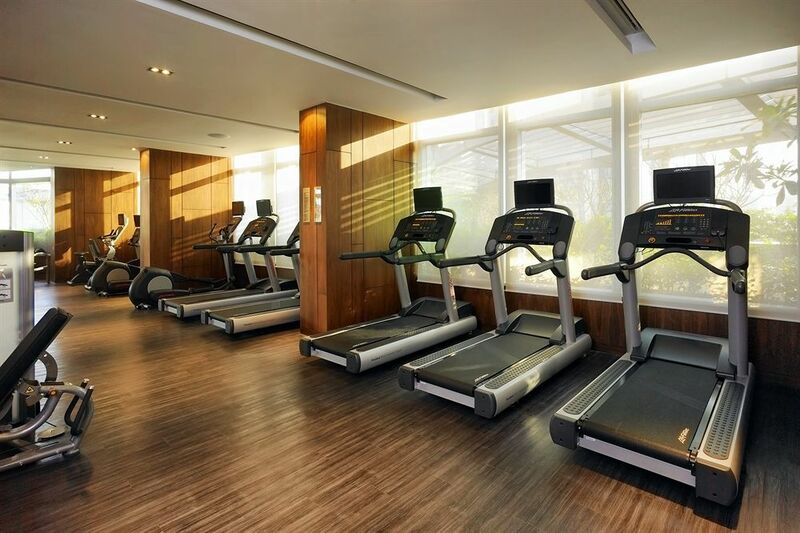 On the same floor you can make use of the fitness room which is open 24 hours a day should you feel the urge to run on a treadmill at 4 a.m. Hey, jetlag does weird things, okay? It depends on the rate but you should definitely pay the extra to enjoy this sumptuous buffet which offers food from many parts of the world: Thailand, naturally but also Japan, India, America, Britain, France and China. Service was excellent. Staff were universally polite, friendly and helpful whether they were working at reception, in the restaurant, cleaning the rooms or sharing the lift down to the lobby. Check-in was fast, courteous and efficient and check-out was the same. I paid extra for airport transfers in a private car and this service worked like a dream. Taxis or public transport are of course cheaper but nothing was going to make me lug my bags across town in this heat. I was met at the airport as soon as I cleared customs and had a smooth ride back when it was time to leave. The car even had mobile WiFi so I could brag about the shiny BMW I had to myself. Yes, Marriott has an excellent loyalty scheme, especially for the US and Asia and the number of hotels in Europe is growing. They can indeed and I had them look after my gear when I was out of town which was a great help. 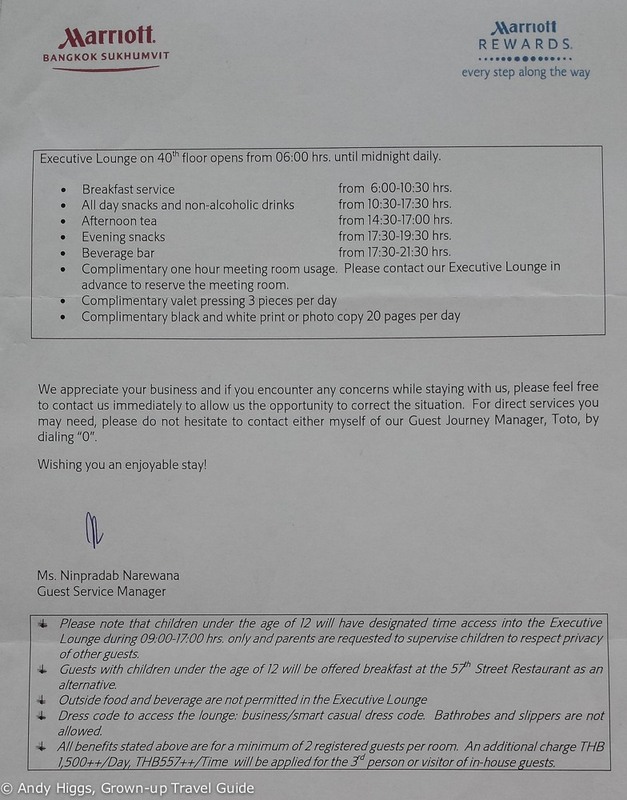 I paid a little over THB 4,500 per night for an Executive room with breakfast and this is the price I am basing my review on when considering value for money. 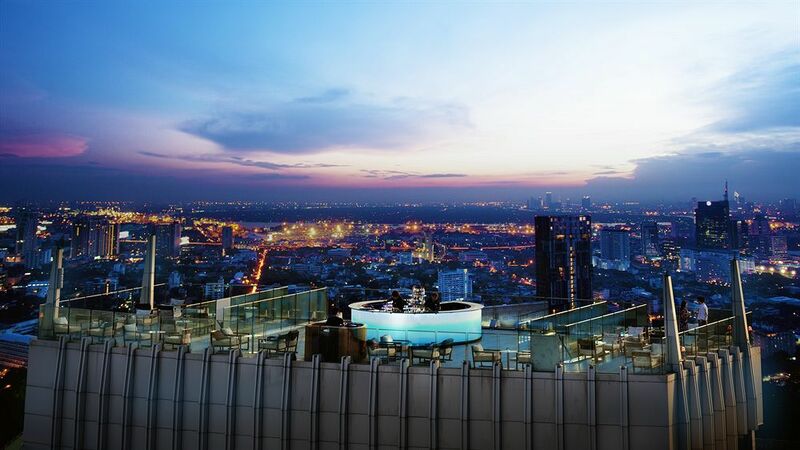 Luxury hotels in Bangkok are a bargain at any time; right now they are even cheaper due to the recent political upheaval. I found prices as low as THB 3,300 on the hotel’s own site so as always do a little surfing then see if the hotel itself will match the rate you find. The hotel doesn’t have to pay commission to a third-party agent, you get the loyalty points and a better or equal price. That’s a win-win situation if you ask me. Superb location. Amazing rooftop bar, one of the best hotel breakfasts I’ve experienced, worthwhile Executive benefits. Good pool and fitness facilities. Fast and free WiFi. Service was impeccable. Wonderful value. The bath was more of a design element than a feature. 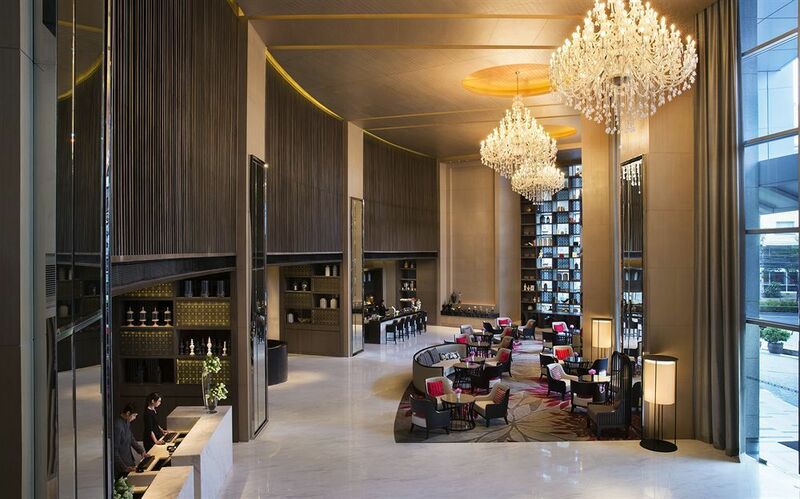 The Bangkok Marriott Hotel Sukhumvit should be high on your list when looking for accommodation in Bangkok. 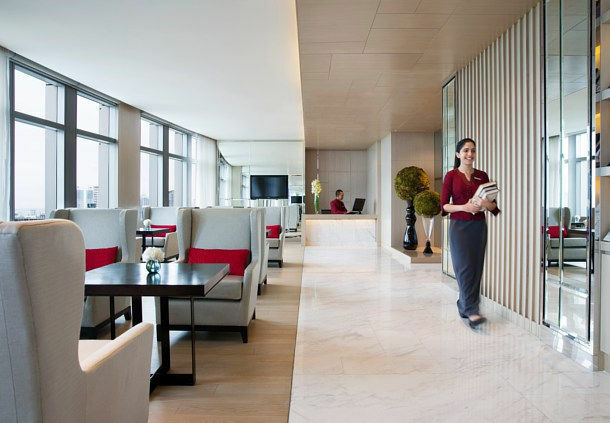 While at heart a business hotel, it offers everything leisure travellers would need for an extremely competitive price. 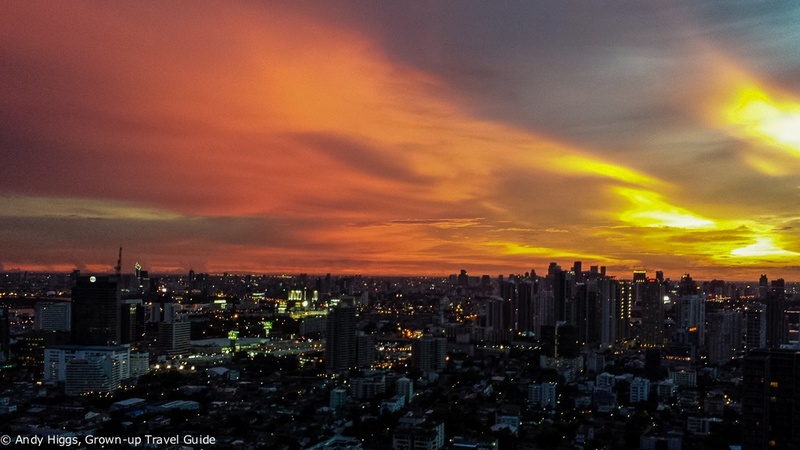 See a different part of Bangkok by staying in the Thonglor area – it’s well worth the few extra stops on the Skytrain.